The dead Atlantic puffins which washed up on Bermuda’s coast this winter underscores the fact the seabird’s population is at risk in the United States and may be in distress in other parts of the world. Scientists told the Associated Press this week [June 2] that the comical-looking seabirds have been dying of starvation and losing body weight, possibly because of shifting fish populations as ocean temperatures rise. 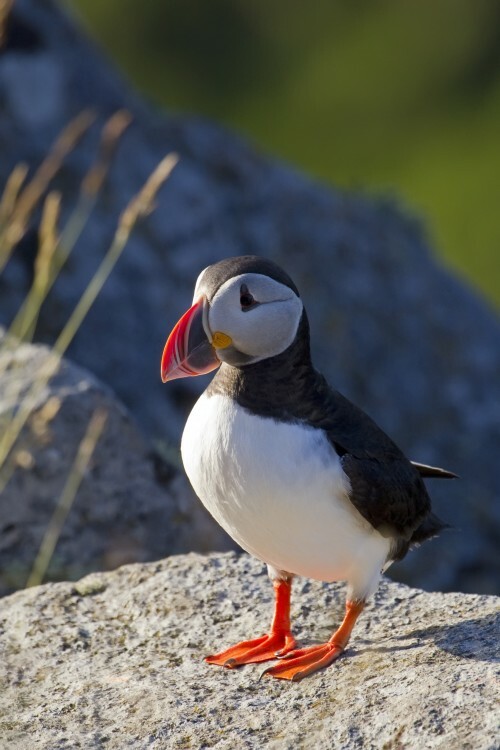 The fledgling survival rates at Maine’s two largest puffin colonies plunged last summer, and the average weight of puffins on Canada’s Machias Seal Island off eastern Maine has been falling since 2000. Dozens of emaciated puffins were found washed ashore in Bermuda and Massachusetts this past winter, likely victims of starvation. Scientists say puffins appear to be eating more butterfish and not as much herring, puffins’ preferred food, possibly because of warming waters. The Bermuda Audubon Society reported in March that at least six carcasses of Atlantic Puffins had washed up on the island’s beaches during that month and asked the public to report any further sightings. Specimens were found at Tobacco Bay, Cooper’s Island and near Ely’s Harbour. The following month the Audubon Society confirmed the first ever live sighting of an Atlantic Puffin in Bermuda waters.